Robin has worked at All Creatures since 2006. She was born and raised in Stuart, FL and graduated from The University of Florida. At home she has two beautiful sons, a loving husband, 2 dogs, and 1 cat. 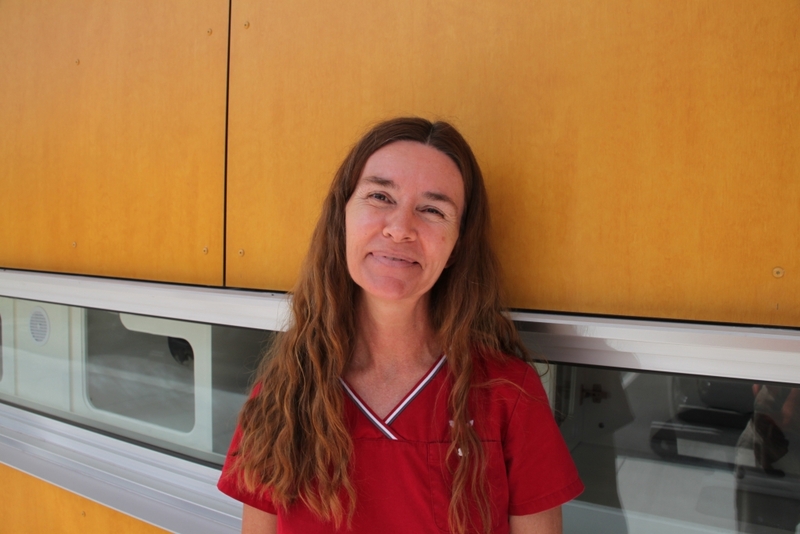 Debbie has been working at All Creatures Animal Hospital since the doors opened in 1999. At home she has 4 dogs, 1 birds, and a tortoise. Debbie loves working with animals. Beth joined our team the beginning of 2013. At home she is a loving mom to her son Gavin, two fur kids Roxy and Jezzabell Mittens, and feathered friend Metzga. 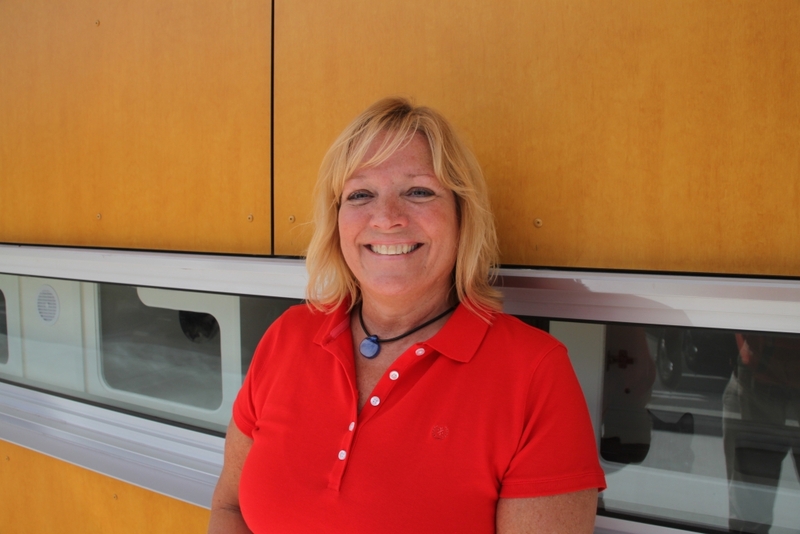 Diane has been working with All Creatures Animal Hospital since 2006. 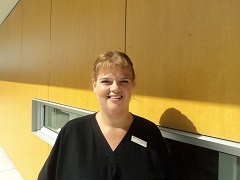 She began as our groomer and has transitioned into a surgical tech. Diane graduated vet tech school and is now a certified technician. She enjoys running marathons and spending time with her dog Jovi and her 2 cats at home. Jessica joined our team in January 2014. She is a fantastic addition to our team and comes to us with years of experience in the veterinary field. We are very excited to have her with us and we are looking forward to utilizing her vast knowledge. Jessica has a daughter named Cameron and four cats named Pickles, Kapu, Beau, and Bella that she takes care of at home. She is currently going to school to become a registered nurse. 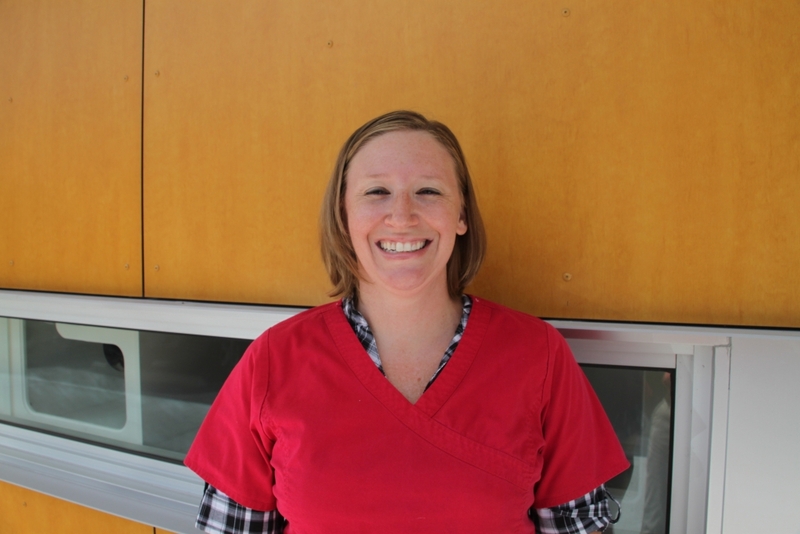 Toree has been working in veterinary medicine since 2008. She has been at All Creatures Animal Hospital since 2014. 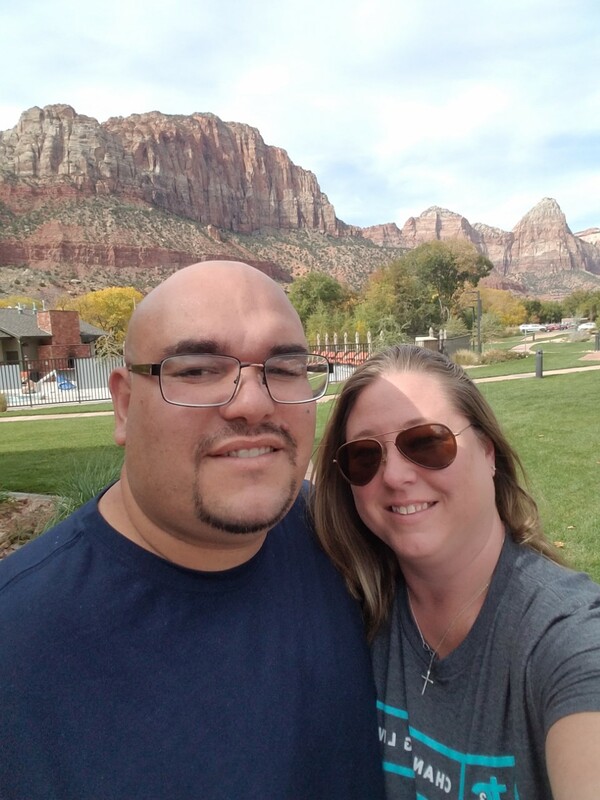 Toree moved to Stuart in 2014 with her wife and 3 kids from Albuquergue, New Mexico. She enjoys watching movies, listening to music, traveling and caring for her animals at home. She has 2 cats, Dodge and Mellie, a snake, fish, turtle and two guinea pigs. 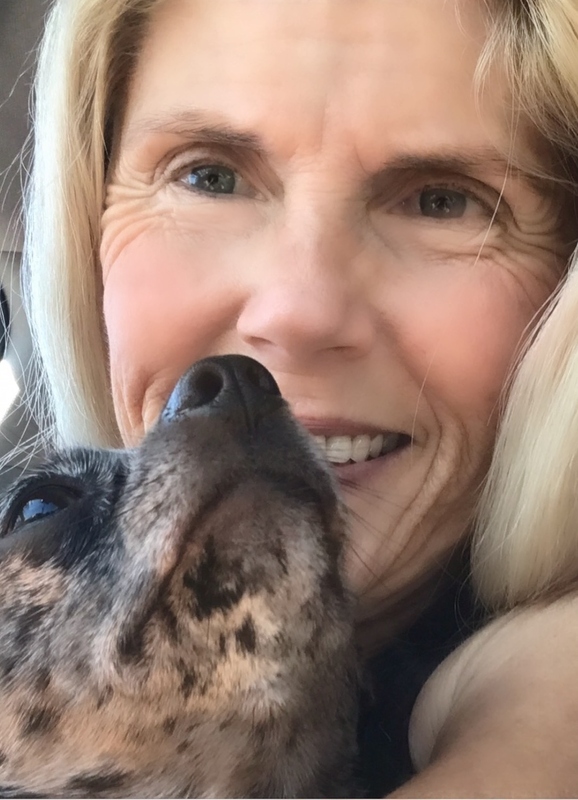 Lanette joined All Creatures in 2015. We are so lucky to have her! She was born in Boynton Beach and grew up in Port St. Lucie. 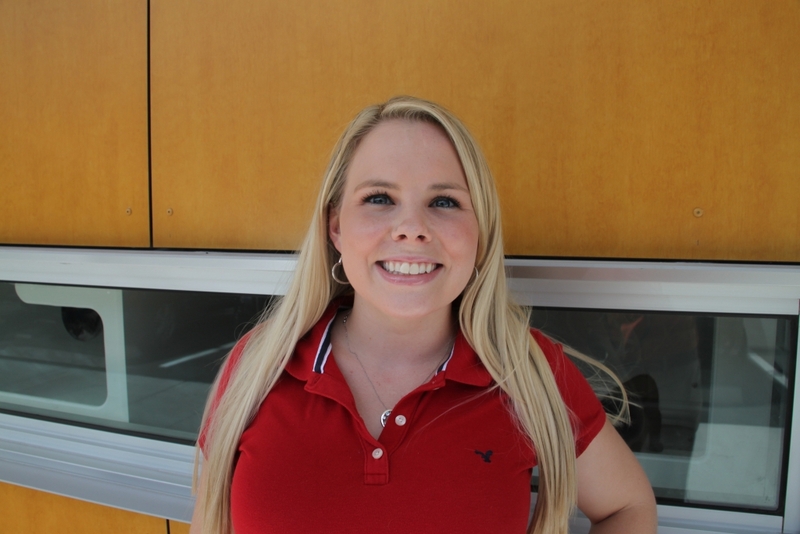 Lanette graduated from the University of Florida in 2013 with her bachelors in natural resource conservation. She has one dog (Rosie) and one cat (Sneeky) at home. During her free time Lanette enjoys being outdoors, kayaking, and camping. She has an adorable son. Annick joined the All Creatures team in 2016. She joined us with many years of experience and is an asset to the team. 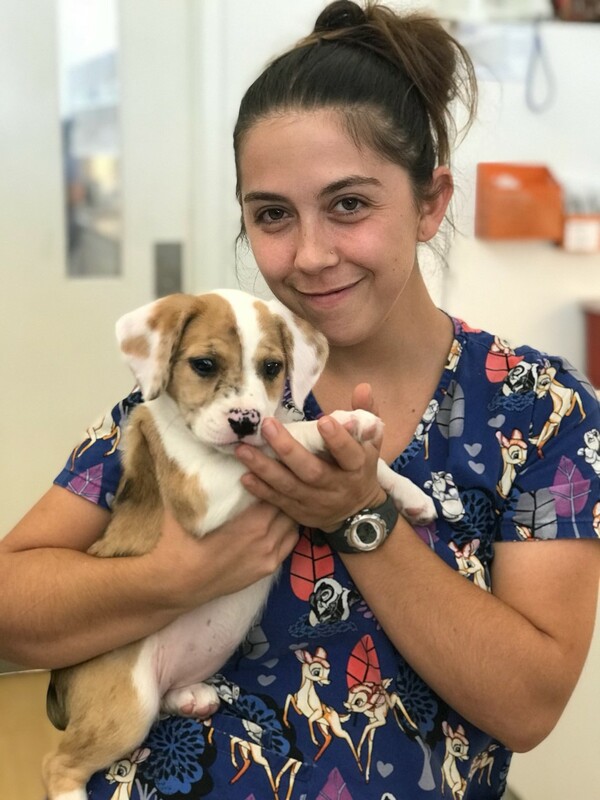 She is certified veterinary office assistant, fell in love with the technician duties and moved into the roll of technician. 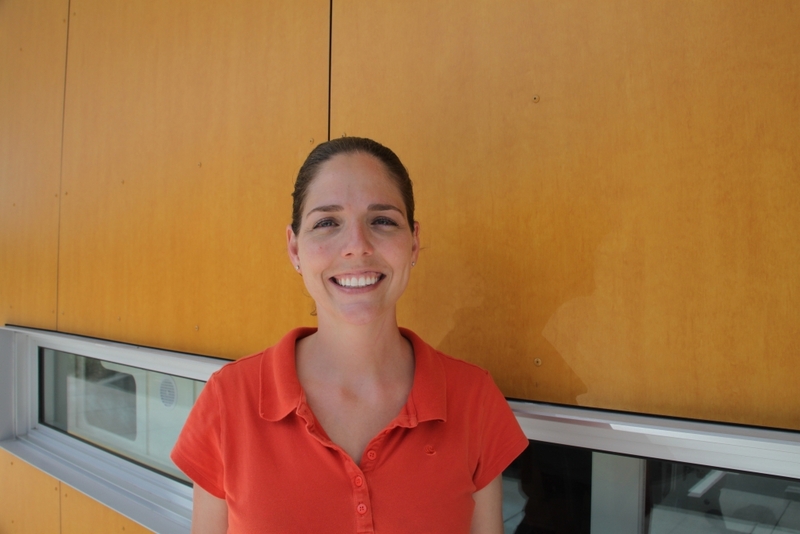 Annick is one of our lead underwater treadmill and rehabilitation technicians. She enjoys spending time with her husband and 2 dogs (bull terrier and hound dogs). 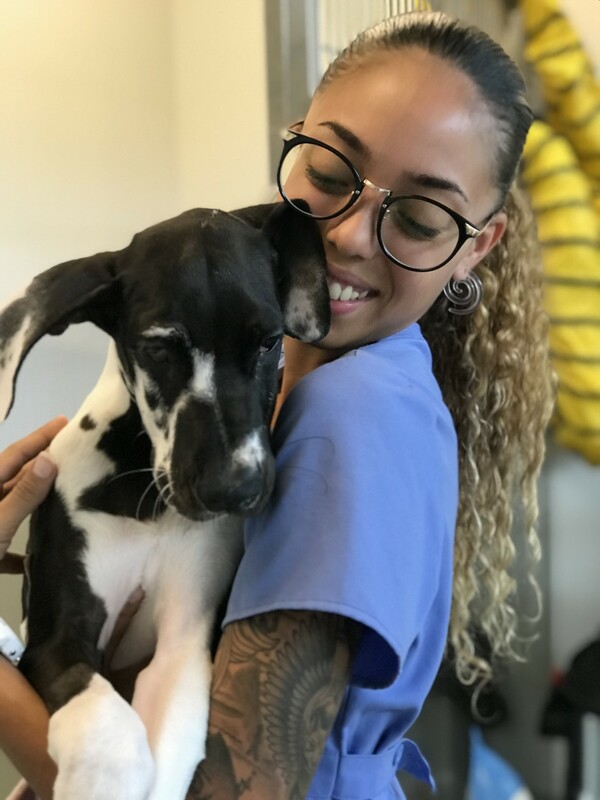 Jaclyn has been with All Creatures since February 2018. 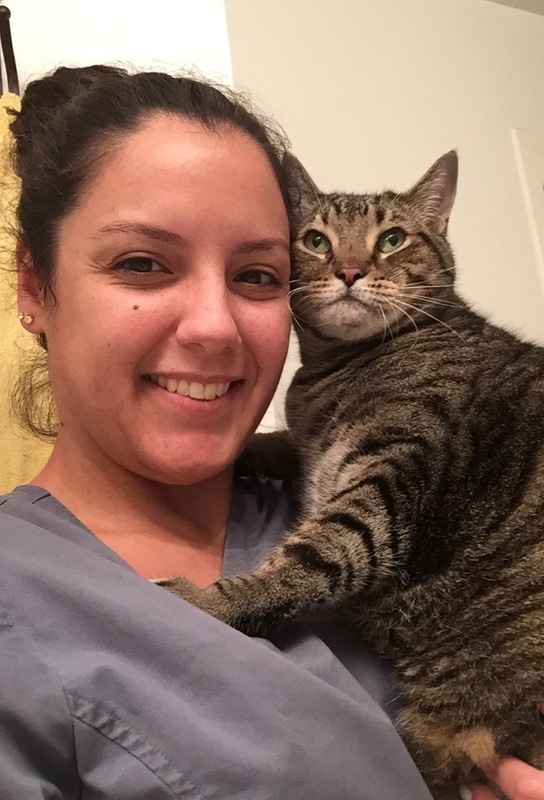 She has been in the veterinary field since 2008 and has her veterinary technology degree from St.Petersburg College. Jaclyn has 2 of the sweetest pittie bulls and 1 crazy cat. In her off hours she loves spending time with ehr husband and son and traveling to new places. Katie has worked at All Creatures since 2012. Her smile is bright and her personality shines. She is a great addition to the front desk. She has a wonderful husband and 3 dogs at home. 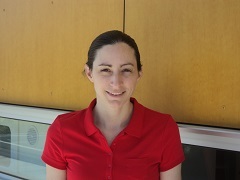 Kristen joined our team in February 2014. Kristen brings tons of experience and fits right in at All Creatures. We love having her and know that our clients have enjoyed her as well. Karen joined All Creatures in 2016 bringing with her 13 years of experience in the Veterinary field. Karen has 3 daughters, 3 grandsons and a husband who keep her busy when she is not here. She also has her fur babies Madden (bull mastiff), Brooklyn (shih tzu), Jinji (mixed breed) and 1 cat Charlie. She enjoys music, reading and scrapbooking. I have been in the veterinary field for 30 years, first as a technician, now as a receptionist. I can't imagine ever doing anything else! I have a menagerie of pets including dogs, cats, birds, a rabbit and a turtle . I have a fiance and 2 children, and in my spare time I enjoy gardening, reading, and the beach. Jessica joined our team in 2014. She has been a vet tech for 3 years. In her spare time she enjoys playing video games and going to soccer games. Lisa joined us in 2015. She is a great helper to have at the hospital. She enjoys boating and exploring the ocean when she is not working. Roger joined All Creatures in 2016. Roger is a Veterinarian from Columbia and obviously brings an extensive knowledge with him. He is currently focused on improving his English and strives to become a licensed Veterinarian in the United States. 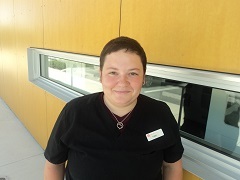 Kristina began working at All Creatures in 2013. She started as a kennel assistant and has become a fantastic technician. She takes great care of the pets that stay with us while their owners are away. During her free time Kristina enjoys cosplay. Amy joined the All Creatures team in 2016. She has four dogs and seven birds. In her free time Amy enjoys reading books and watching netflix. Cheyenne joined the All Creatures team in 2016. 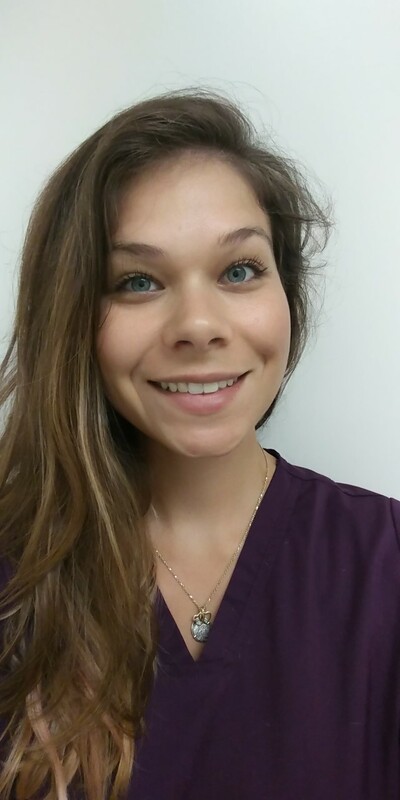 She graduated from South Fork High school with a veterinary assistant certification in 2016. Cheyenne has had a passion for working with animals from an early age. She currently takes care of her 3 dogs, turtle and pacific parrollet at home. Connor joined the All Creatures team in 2016. My fur-family consists of 3 horses, 2 cats, and my dog. I have worked in the large animal field for 2 years and am completely new to the small animal world! I am in school at St.Petersburg College getting my AS in vet technology and then applying for vet school! I am a Junior in high school. I am in the South Fork high school veterinary assisting program and I volunteer/foster animals for the humane society of the treasure coast. I live with my mom, stepdad, and brother Vinny. I have 2 dogs, a shih-tzu/bichon named Bear and a maltipoo named Nina, and have a cat which is a russian blue named Chloe. I have been a competitive cheerleader for 5 years and counting. I am also in paw (people for animal welfare) club and hosa (health occupations students of America). Cathy joined us in 2016. She came to us with over 30 years of grooming experience! We are so happy to have her as a great addition to the All Creatures family. Pam began at All Creatures in 2017. She does a great job and grooms all breeds of dogs and cats. We are very lucky to have her as a part of our team.